The Focus Group are back with a kaleidescope of antique electronics, psyched out jazz, and broken rock. This time they bring us a message, a warning and a strange story of TV stations taken over by ancient forces and bizarre happenings at The Royal Festival Hall. Julian House’s own The Focus Group; oddly assembled sampledelic collages, stitched together from fragments of library cues and forgotten soundtracks. A beautiful, unhinged stream of consciousness that seems to prod at buried memories. The Focus Group’s third release for engaging electronics label Ghost Box occupies some impossible space between the spectral mythologizing of Arthur Machen’s The Great God Pan and the haunted soundstage in the now empty Top of the Pops studio. Some people will walk through this world on cloven hoofs, others in white vinyl go-go boots. It feels pretty groovy and strange, managing to generate some real excitement at the same time. The effect is a little like coming across an obscure catalogue of library recordings that you know could never really have existed. Feedback loops and decaying echoes are spliced into intricate straggling test patterns with snippets of Easy Listening: heavy on the flute and harpsichord but with a laid back electric guitar on the side to keep the kids interested. Disembodied voices caught up in flights of poetic incantation or mumbled asides drift politely through this seamless kaleidoscopic montage of sounds and effects spread across 25 tracks but with a combined running time roughly equal to what you’d expect from a long-playing vinyl record. There’s also something quite knowing about the clumsiness with which the pieces present themselves: rattling Moroccan percussion and tuneless clarinets are roughly combined on "Soho>St.Ives>Tangier" while the epic "The Green Station Haunt" collapses into one long disjointed series of incomplete endings, only to be followed immediately by the distorted reverberations of the actual closing track "Leaving Through". With a sense of boldness that only skilful pastiche can bring, We are all Pan’s People summons up a lost world where rosebay willow herb still grows on old bomb sites waiting for the developers to move in, and television sets emit spooky blue auras in peoples’ front rooms. London is swinging, youth is definitely in the air and Syd Barret has just finished reading The Wind in the Willows for about the 20th time. Intimately acquainted with this uncertain hinterland between yesterday and tomorrow, The Focus Group are also smart enough to realise that anyone can pass for modern if they still listen to Pierre Henry, Tom Dissevelt, Jacques Loussier or Dave Brubeck. Or as Peter Jones used to announce repeatedly in the 1963 film adaptation of Billy Liar, "It’s all happening !" The Focus Group - LOOK HEAR NOW! The Focus Group - HANG ALONG! 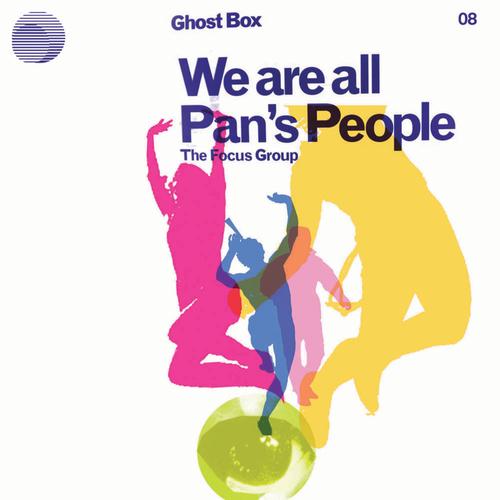 Unfortunately at this time we can't offer all the The Focus Group - We Are All Pan's People tracks as individual flacs, as some of these tracks exceed the shops maximum (33.3333333333333mins) download length.